How much ink does your HP F-388 printer have left? One day your HP F388 will run dry of printer ink, and when it happens you'll quickly realise that buying HP F388 ink tends to be very expensive. Thankfully, however, you have no need to waste time worrying about paying the high asking prices you'll get on the high street because here at Cartridge Save you can order all the HP F 388 cartridges you'll ever need at low cost. Start to save cash on your ink by ordering with Cartridge Save! There's little sense in spending so much for the F-388 original cartridge or F388 compatible ink in the high street when it's easy to save a wadge of cash shopping with Cartridge Save. Get utter satisfaction when ordering DeskJet F388 ink cartridges from us because they are all covered by a straight forward money back guarantee. Keep in mind that each and every purchase has free delivery, mostly delivered to you on the following working day! Essentially three office machines rolled in one, the HP Deskjet F388 can perform printing, copying, and scanning tasks. This compact all-in-one device is a less expensive alternative to buying a printer, copier, and scanner separately. 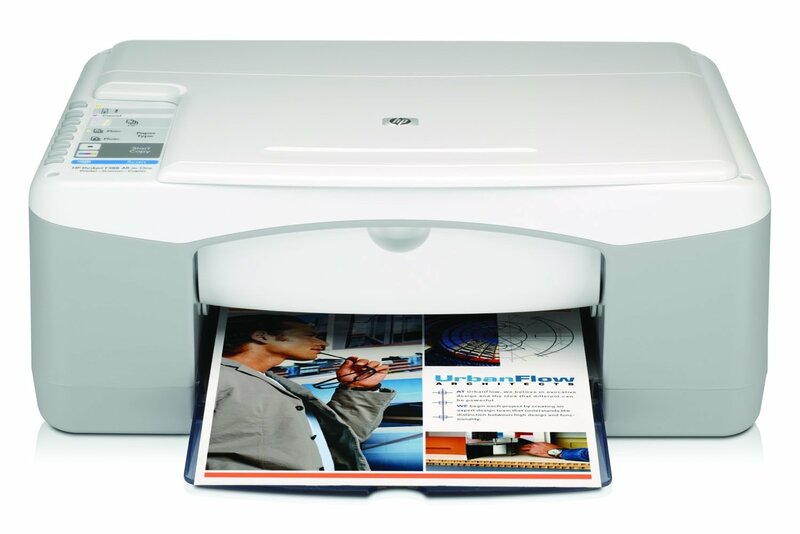 It produces crisp texts, clear images, and superb graphics, although it may not be as productive as an office printer as its projected duty cycle is only 700 pages a month. Running = costs for the HP Deskjet F388 can also be an issue, especially if you print pictures, graphics, and other colour documents regularly. The HP Deskjet F388 is small and compact, measuring about 7x16.8x10.2 inches. It is perfect for limited desktop spaces, leaving space to spare for other gadgets or devices. It uses the same ink and printing technology that other F300s use (thermal inkjet, drop-on-demand), and requires 1 black and 1 tri-colour cartridge. The HP Deskjet F388 also has USB as standard connectivity interface. Someone looking for a basic AIO will find the HP Deskjet F388 very fitting. It is compatible with major operating systems from Mac and Windows, and boasts excellent printing resolution of up to 4800x1200 dpi. It is also an affordable alternative, although it does lack the versatility of other functions that more advanced MFPs have. The HP Deskjet F388 is only suitable for low-volume printing, and does not support networking, and other functions that more demanding work environments may require, like faxing and wireless connectivity.